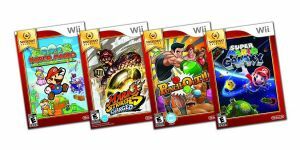 Nintendo is now dropping the price of the Wii to $150 and to go along with is are lowering the price on a bunch of games and bundling the Wii with Mario Kart. This new line of Nintendo Select titles will include Animal Crossing, Super Smash Bros. Brawl (rumored), Mario Super Sluggers, The Legend of Zelda: Twilight Princess, and Wii Sports. They have a rumored price of $20, but I doubt this is true considering Wii Sports is in there. Although I don’t understand the removal of Wii Sports from the bundle (really Nintendo?) this seems like a fun way to prepare for project Cafe. Go here for all the images.